Doctor Phillips is a community that has grown enormously over the last 20 or so years. Some of us may remember when the view driving down Sand Lake Road towards Apopka Vineland was orange groves, now it is the famous “Restaurant Row”. This stretch of road is now home to numerous big brand restaurants and businesses. This continues all the way until you hit I-Drive, which is a sea of some of the biggest retail and restaurant brands in America! So how does a small business compete among all of these big franchised and popular brands? Let’s just say it’s not an easy feat. Those that are able to compete are probably doing so because they are providing something unique and special to the community. So here is a list of a few local Doctor Phillips small businesses, most of which are family owned by people from our community that we want to highlight and recognize! This is one of our favorite restaurants not only in Doctor Phillips, but in Orlando! 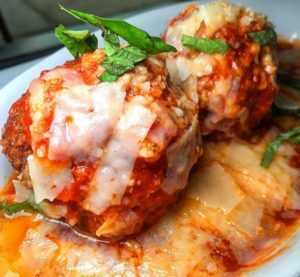 This family owned Italian restaurant located near the former Golds Gym, (now Fitness CF) off of Turkey Lake Road has been a staple in this community for many years. The owners grew up in Doctor Phillips and have run a successful restaurant as a small one off brand since day one. If you remember, Fresco started next to the old Kmart in its old cafeteria area. They were highly successful there and it was almost a hidden gem in the area. After Kmart closed and the PGA Superstore was developed, Fresco was moved from that location to the other side of the plaza. However; it has never missed a beat despite this move. Stop in any day for lunch and you will see the son of the owner working behind the bar. Go in any evening and you will see Teresa wandering the dining room making sure her guests are enjoying their meals. This local restaurant makes us proud and we’d like to say congratulations for your success competing with the big brands in your backyard! The Whiskey is one of a kind bar and restaurant in Doctor Phillips. It’s so good that it’s something you’d expect to be a brand with hundreds of locations nationwide! Yet its home is in the Fountains Plaza off of Sand Lake Road. A plaza home to many high end chains such as The Melting Pot, Ruth’s Chris, and more. Designed to be a rock and roll whiskey bar built in the location of the old Cricketer Arms, The Whiskey has done very well establishing itself as an independent small business operating in a big pond. The Whiskey is famous for its live music, amazing hamburgers, whiskey menu, and of course, its $5 every day Jack Daniels special. 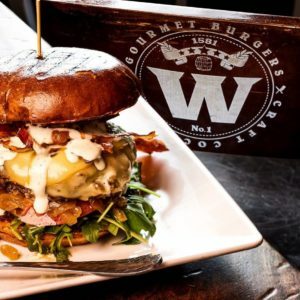 If you haven’t tried The Whiskey, we highly recommend stopping by for a good time, and a great meal. This new local coffee shop located in the same Plaza as The Whiskey has recently opened in late 2018. We’ve included them because in an area that has 2 Starbucks within 100 yards of each other, it takes a lot of pride and determination to compete with a brand as large and ingrained in our culture as a Starbucks. 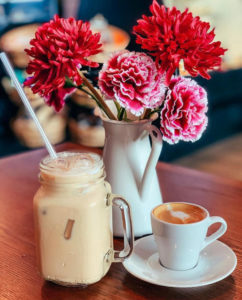 Ok, But First Coffee offers an alternative experience from your normal Starbucks featuring a relaxed and quiet atmosphere, as well as delicious coffee from various parts of the world. It also offers fresh food, pastries and has free Wi-Fi making it a great place to work, or meet with friends. We highly recommend stopping by if you haven’t yet. Remember Graffiti Junction in the plaza off of Turkey Lake Road, by Fresco? Well that restaurant closed and the location is now home to a new upscale French steakhouse,. Although it hasn’t been open for long, it offers an intriguing and very diverse menu that should satisfy anybody looking for a fine meal. It could be a hit with tourists and convention goers looking for dinner spots on restaurant row that won’t hurt their wallets. You may actually know these local owners for their work at their other location in Doctor Phillips, La Cafe Paris which is located near Gators dockside. We love that place and we’re sure their new place will do just as well. 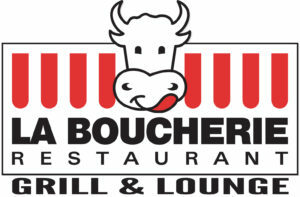 We just visited La Boucherie recently for lunch and had a delicious meal. We think you’ll enjoy it too! This local marketing agency was founded by longtime local resident Bryan Bruce. A true local, he grew up in Doctor Phillips, attended Doctor Phillips High School, graduated from University of Central Florida and then worked for Marriot locally. After working for Marriott for many years, he decided to open his own marketing business and rented an office a half mile from where he grew up. 8 years later, the business is booming and believe it or not they are the creators of I Love Doctor Phillips, Activate Reviews and Experience Virtually. If you have a local business and you need marketing support give this team a call! There are plenty of other small and locally owned businesses in Doctor Phillips and we commend them all for the hard work that it takes to be successful in an area full of large companies and brands. Be sure to support local business! Each has its own unique story and offer something special to our wonderful community.